Is Somerleyton Hall in Suffolk really haunted...? 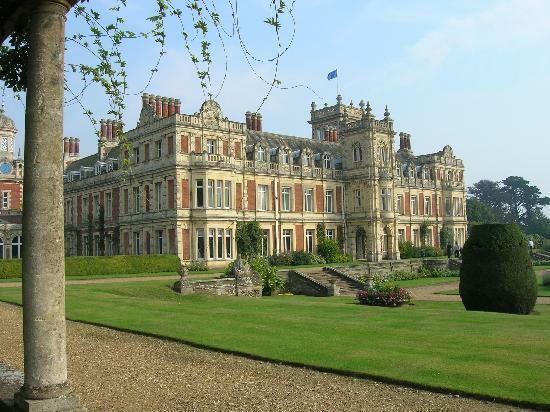 Way back in 1240, a manor house was built on the site of Somerleyton Hall by Sir Peter Fitzobert. After being handed down from generation to generation the Hall was purchased by John Wentworth who completely transformed the hall into a Tudor-Jacobean mansion. Other notable past-owners include Sir Samuel Morton Peto who spent around seven years carrying out extensive re-building, Sir Francis Crossley of Halifax. The house is currently held by the Lord Somerleyton and family. One of the most famous features of the Hall is its massive hedge maze, which was created by William Andrews Nesfield in 1846. An interesting little known fact is that the clock tower in the grounds would've been on the bank of the River Thames in place of Big Ben had it not been considered too elaborate. Poltergeists, full-body apparitions and nausea are often reported as well as footsteps, whispers and servant bells ringing for no explainable reason... Room 7 was locked for more than 20 years because many staff and guests had strange and terrifying experiences in and around the room. Many psychic mediums think this is because a Scandinavian woman named Anna-Maria Christansen (who was pregnant at the time) was murdered "Jack the Ripper style" by the unborn infants' farther, before he buried her in the grounds of the hall.